If you are looking for kitchen and bath specialists, please contact us at 314 Design Studio today. We can help you realize your dream features and amenities for your kitchen or bathroom at a cost that you can afford. Our company has been the top choice of most homeowners in the Chester, Kent Island, and Annapolis areas because of the personalized service and quality workmanship that we can provide them with. Call us today to learn more about our services or visit our studio to see some samples of our designs. From exquisitely designed cabinetry and countertops to top-of-the-line fixtures and accessories, we can provide them to you. One of the common problems of homeowners is on how to make their kitchen and bathroom areas free from clutter. If you're encountering the same problem, please call us so we can help you. We can provide you with finely crafted cabinetry that can cater to all your storage needs. We use only the finest wood when creating cabinets for our clients. In fact, homeowners in the Chester area who availed our services are impressed with the design and quality workmanship of our custom cabinets. We can also install pre-built cabinets from our partner suppliers. Rest assured that they are made from durable materials and installed by our skilled personnel. They are likewise available in different finishes and designs, so clients like you can easily choose the perfect cabinet design for your kitchen or bathroom. Our customized countertops are made to last a lifetime. We highly recommend our granite countertops because of their aesthetic effects, ease of maintenance, and unmatched durability. We can also install other types of materials such as marble, tile, and quartz. We source them from trusted suppliers, so you are assured of their quality. 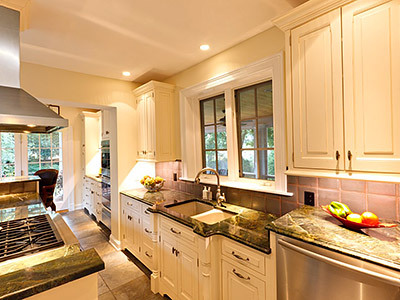 We've been known in Maryland for our highly personalized approach to kitchen and bathroom remodeling projects. Our designers will work closely with you to ensure that all your needs and preferences are taken into account during the design stage. This approach helps us create outstanding designs that also satisfy your needs and requirements. Although there are pre-built cabinetry and countertops available in the market today, we still highly recommend installing customized units made by our artisans. With custom-built cabinets, we can maximize the use of available space in your kitchen or bathroom. You will also get cabinets that will complement the existing theme or design of these areas. When you hire us to work on your cabinetry and countertops, you are assured that only experienced artisans will work on these fixtures. We employ some of the best craftsmen in Maryland to give you finely crafted cabinets and durable countertops that can last for generations. And to ensure that these are installed according to your specifications, we will send only professional installers who are all experienced in handling various home remodeling jobs. Contact 314 Design Studio for all your home remodeling needs. 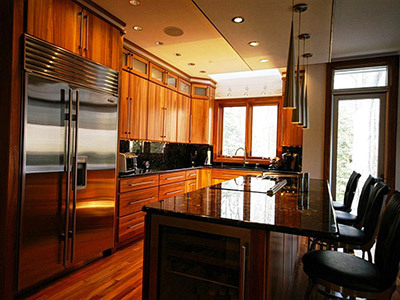 We have the skills, logistics capabilities, and resources to create and install your desired cabinetry and countertops. Call 410-643-4040. We serve Chester, MD and other major cities in the state.